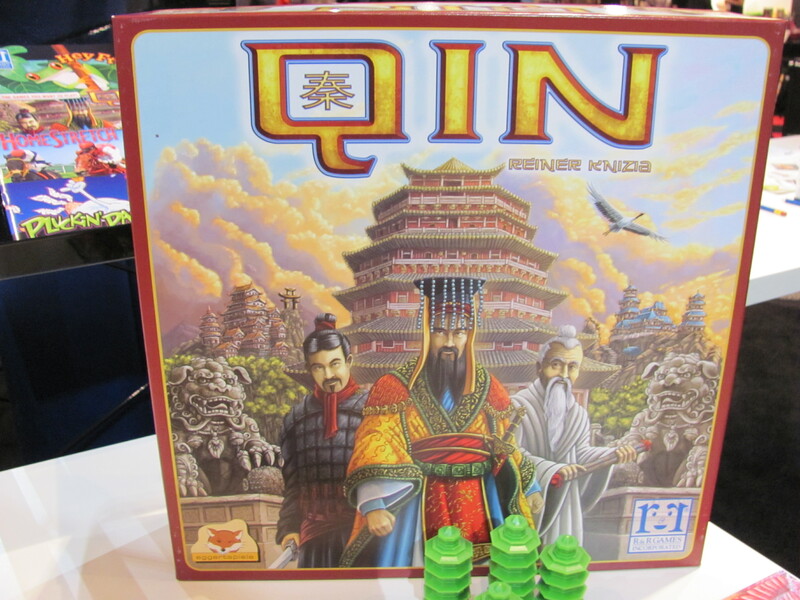 Definitely one of my favorite games of Toy Fair, R&R Games’ Qin is an Asian-themed tile laying game designed by Reiner Knizia. 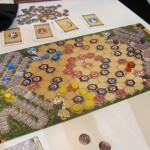 I can’t help but think of it as a multiplayer version of Knizia’s Carcassonne: The Castle, though there is more to it than that. 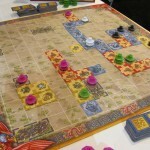 When players lay tiles, they can place their pagodas to claim cities. 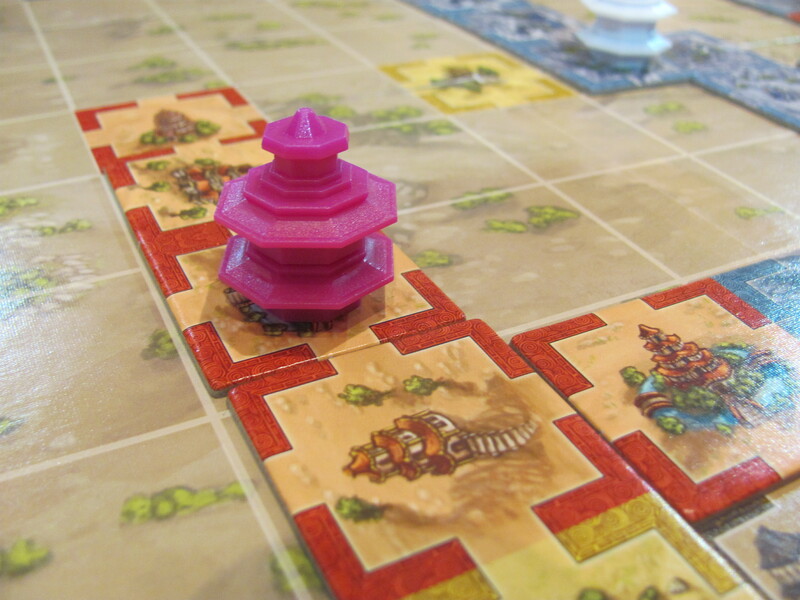 And whereas it’s not uncommon to have one’s city stolen by an opponent, a city can be protected with a double-pagoda if it’s been expanded to cover five squares. 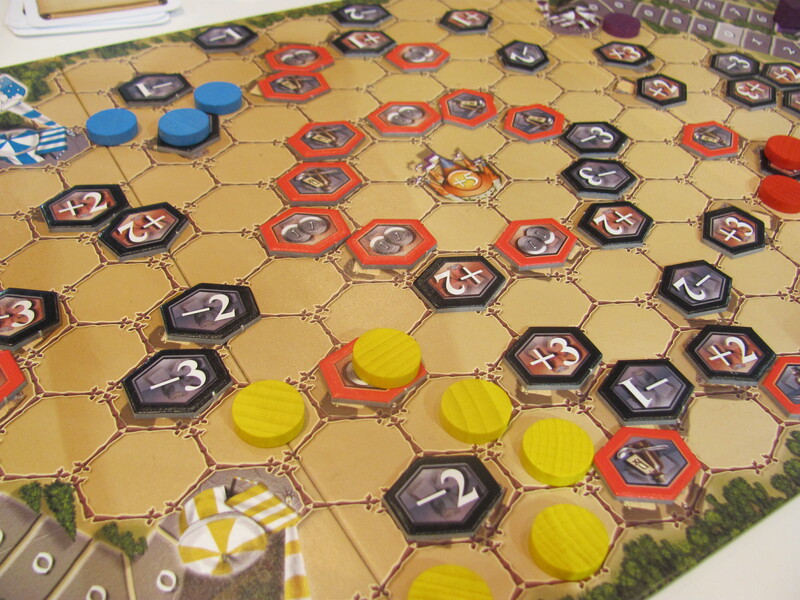 Lost city spaces, of which several are printed on the board, go to the player with the largest contiguous city. 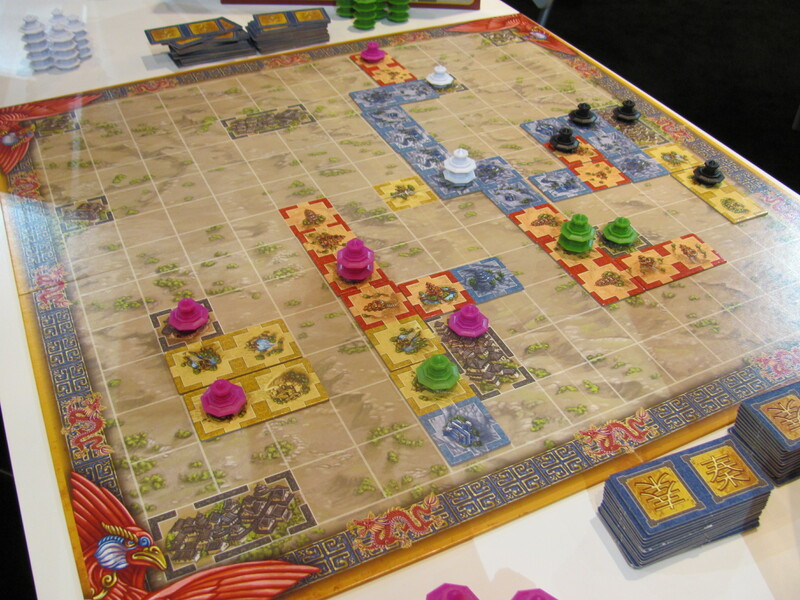 Qin ends when either all the tiles are used or when there is no more open space on the board. 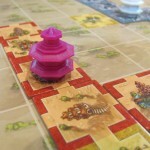 The winner is the player with the most played pagodas (not the most claimed city spaces.) 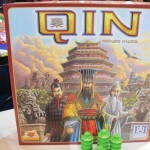 Qin retails for $40 and includes an advanced-play board on the reverse side. 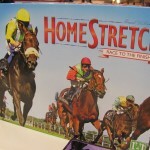 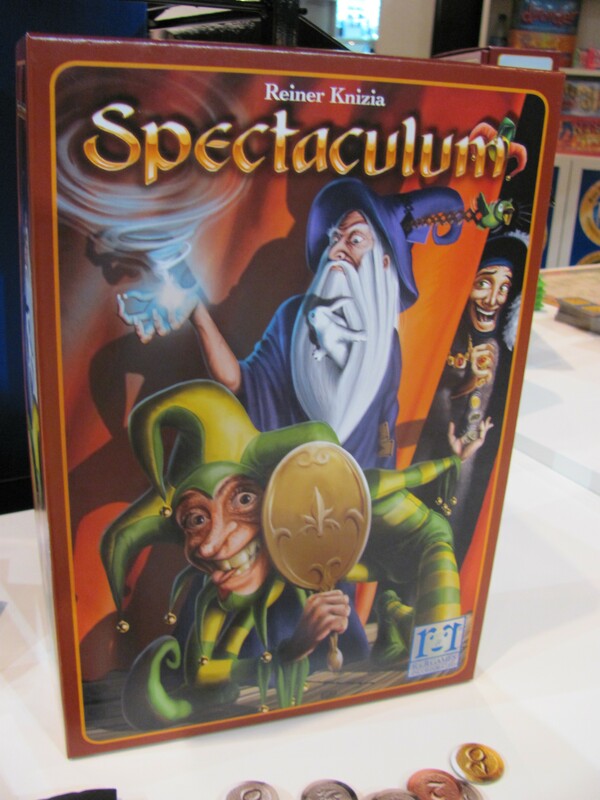 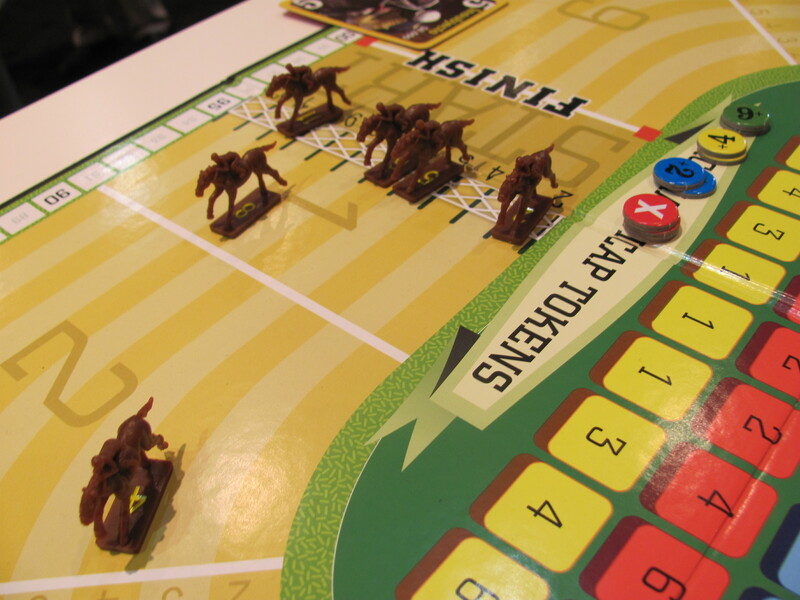 Another Knizia-designed title being shown by R&R was Spectaculum, a game about competition among traveling circuses. 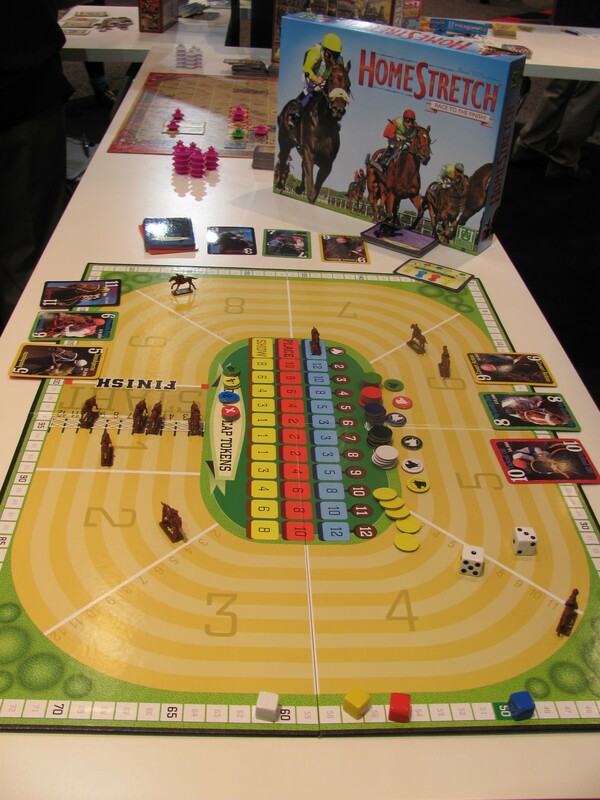 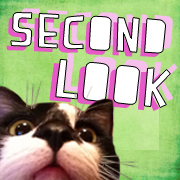 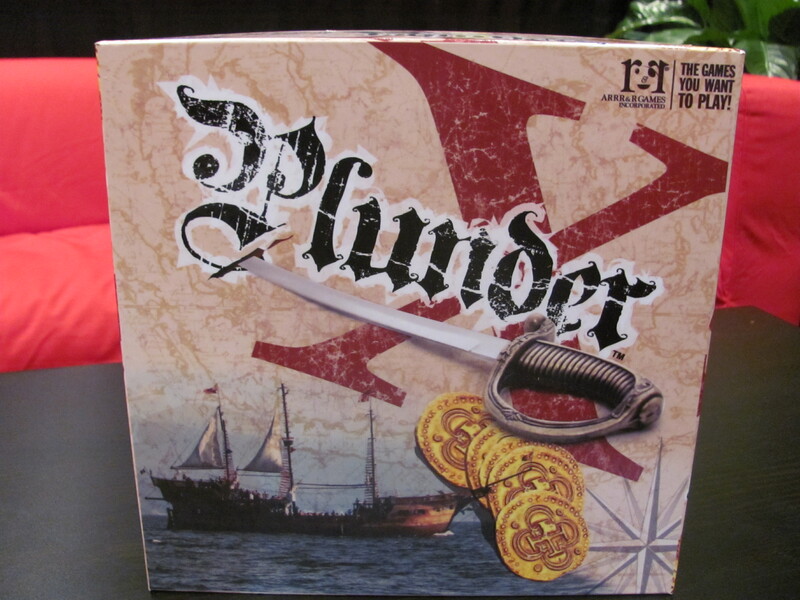 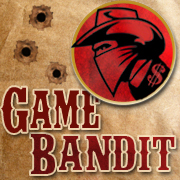 From the design perspective it’s a stock manipulation game, because circuses aren’t assigned to players, rather players buy and sell shares in all four of the circuses throughout the game. 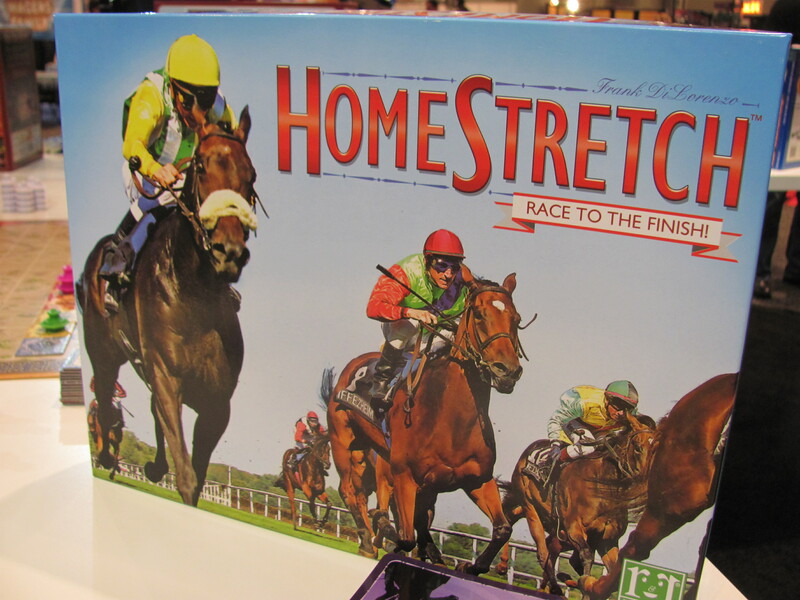 As the winner is the one with the greatest net worth at the end, the goal is to buy shares low and sell high. 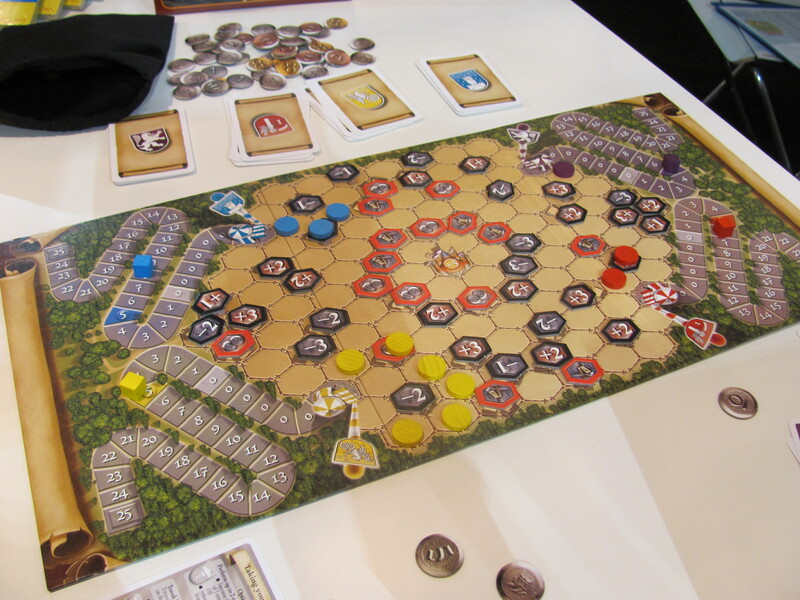 What I found particularly interesting was that moving the value of the circuses was accomplished by placing travel markers on the board, indicative of sending performers to visit various towns and villages. 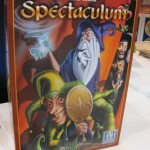 The retail price of Spectaculum is $30. 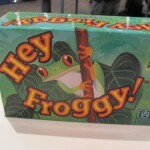 Now a third game from R&R, Hey Froggy, from a distance looked only like a very simple kids’ game. 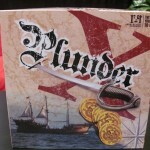 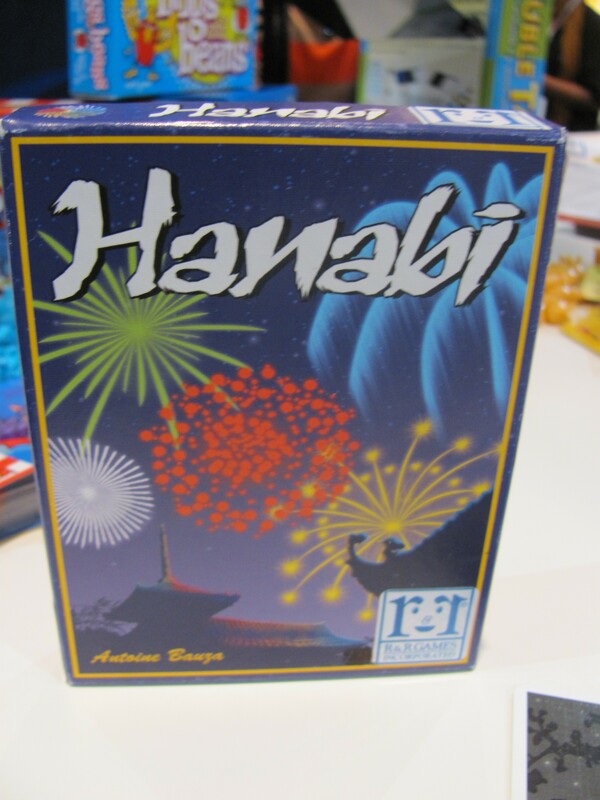 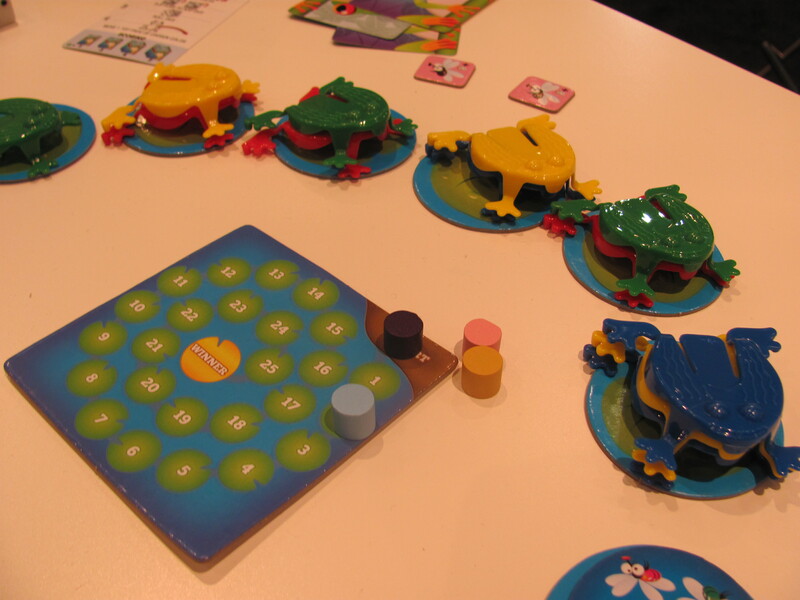 The game has cards, dice, colorful plastic frogs, and a board made of lily pads placed in a circle (retail price $16). 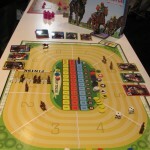 After getting the demo, though, I can see that there’s a bit of strategy and some other interesting mechanics involved. 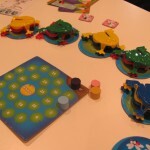 First of all, the goal of the game is not to get the frogs to any particular destination. 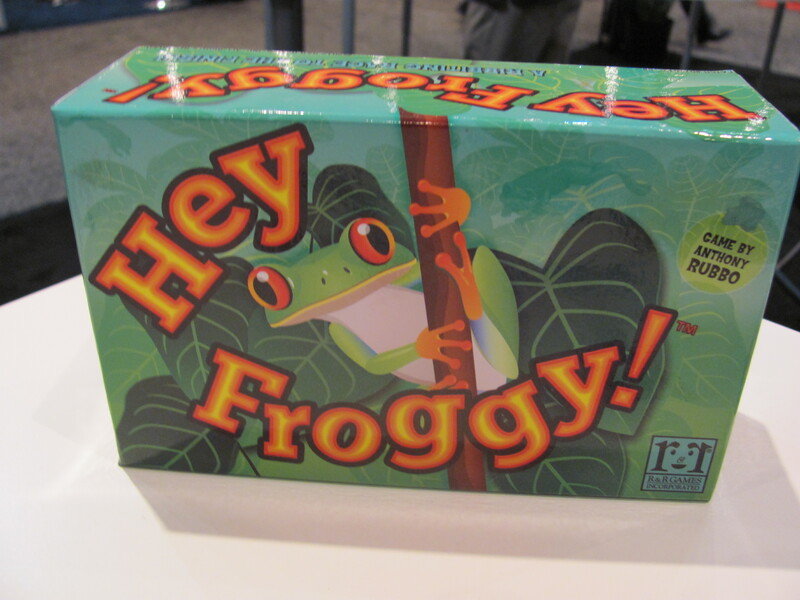 The goal is actually to play cards from your hand. 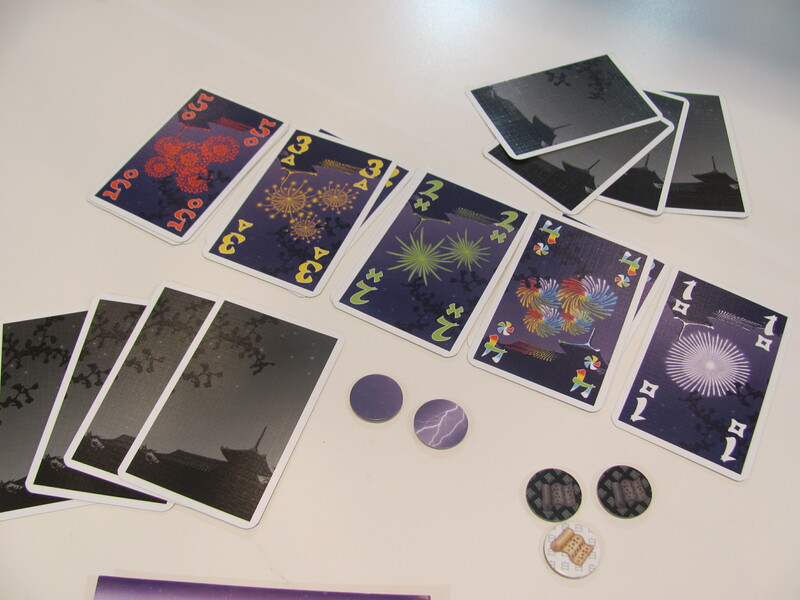 The more cards you can play simultaneously, the more points you earn—a 1-card play is worth 1 point, a 2-card play 2 points, a 3-card play 4 points, and a 4-card play 7 points. 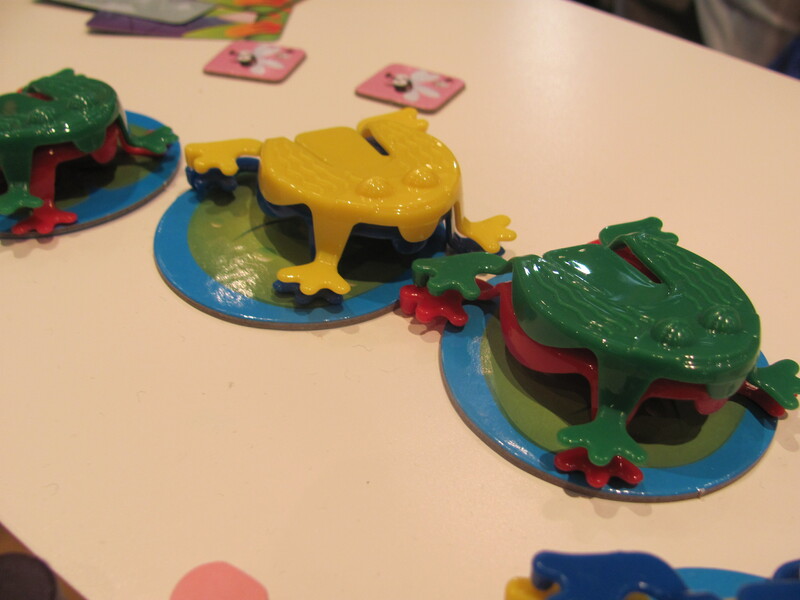 However, you can only play cards that match the frogs that are on top of the stacks on the lily pads. 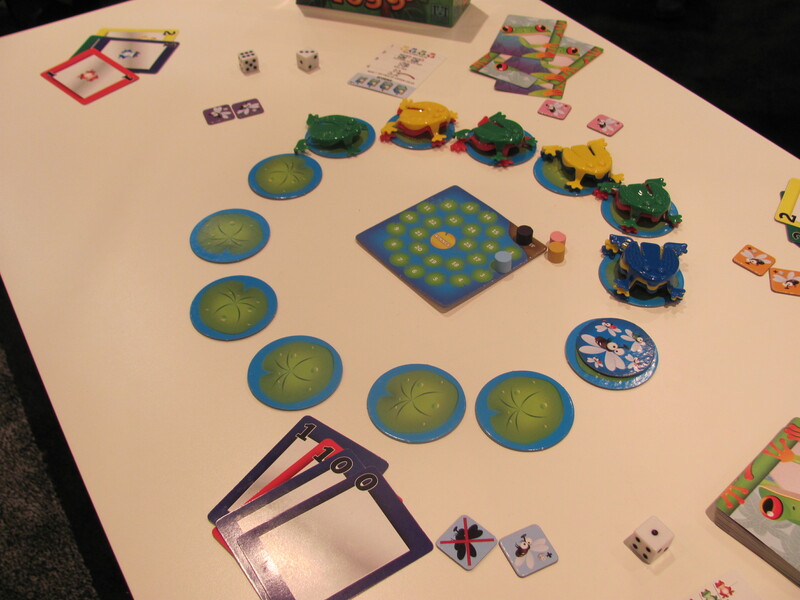 Manipulating which frogs are on top is where the dice-rolling comes in. 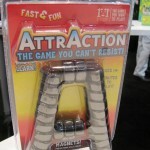 For more straightforward fun, R&R had AttrAction. 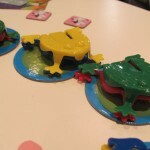 This game involves flicking and sliding magnets across a table. 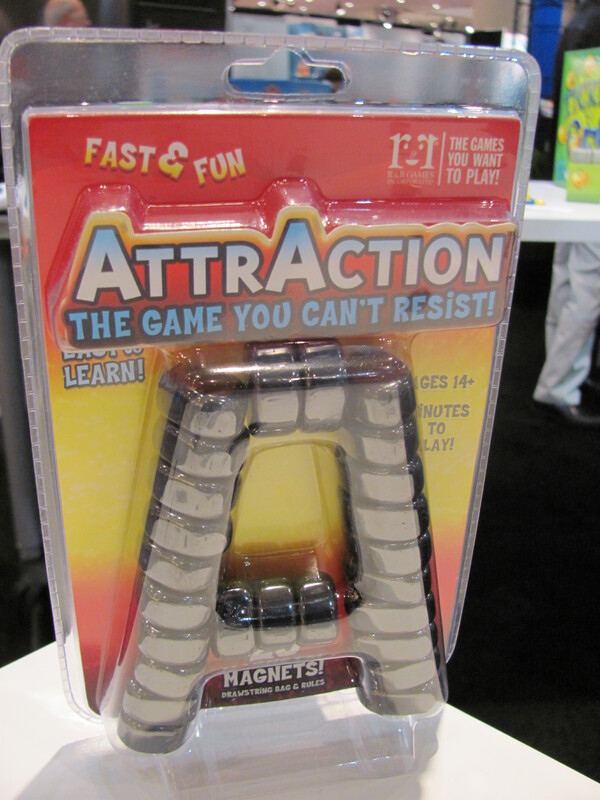 On your turn you slide a magnet across the table and get to keep any other magnets to which it sticks along the way. 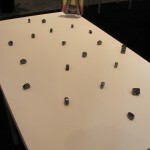 If however, it sticks to nothing or falls off the edge, you lose it. 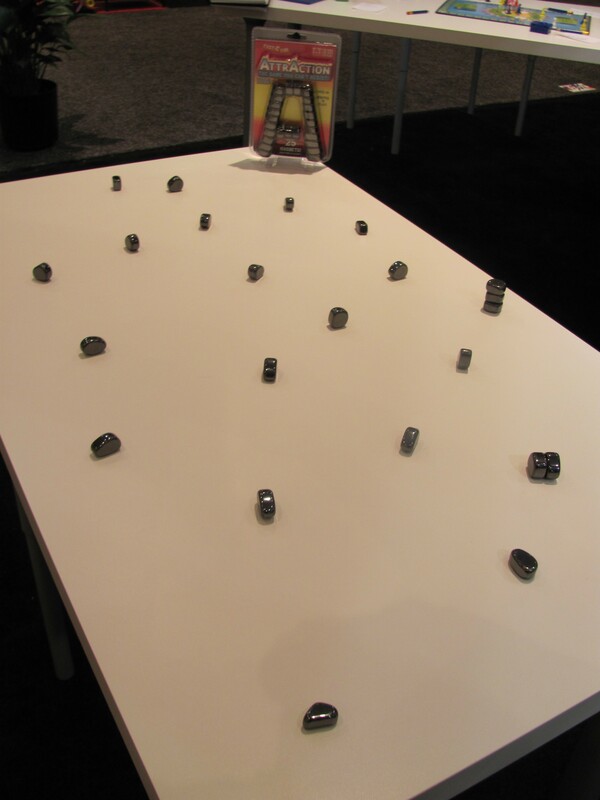 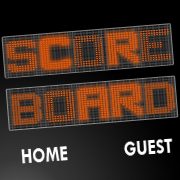 When the table is cleared of magnets, the player with the most wins. 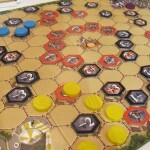 Strike a Pose—an activity game, where the players pose in the form of letters. 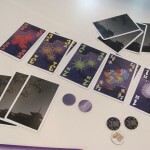 Guess the Mess—which involves grabbing cards that give clues to a location. 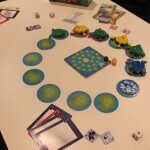 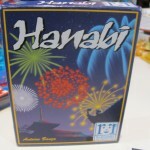 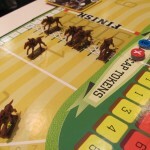 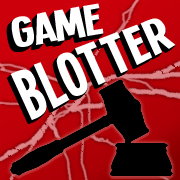 Unnatural Selection—a party game in which the players pile on descriptor cards (e.g., “smelly” or “lonely”) to both their and their opponent’s personality cards (e.g., “dragon” or “little girl”) in order to convince the judge to choose their personality in that round’s situation (e.g., “the first to be thrown overboard”).